Eucalyptus trees do NOT kill birds! The claim that eucalyptus trees kill birds originates with an article in the publication of the Point Reyes Bird Observatory, written by Rich Stallcup. (1) Mr. Stallcup was well known as a knowledgeable birder, but he was not a scientist. He based his claim that eucalyptus trees kill birds on his observation of two dead birds in two different eucalyptus forests over a period of many years. 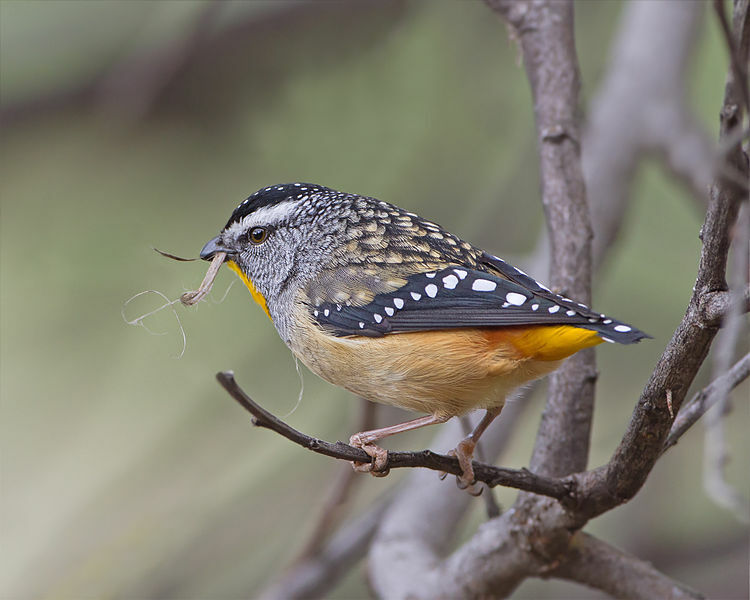 Given that Mr. Stallcup was a serious birder who spent much of his time in the field observing birds, we begin our critique of his hypothesis by pointing out that a sample of two is absurdly small from which to extrapolate to a general rule about bird mortality in eucalyptus forests. We have a beautiful Coast Live Oak tree on our property, under which we have found dead birds. Yet we have not concluded from those observations that the birds were killed by the tree. Of course, they were not. Although there were probably many different causes of death of these birds, we don’t feel the need to speculate about those causes because bird death is not a rare or unusual event unless, of course, you are looking for an excuse to blame the tree. Stallcup speculated that eucalyptus trees kill birds by “gumming” up their beaks or nostrils with the nectar of the eucalyptus flower which blooms from about December to May in California. He supports this theory by claiming that the birds that are found in Australia, where eucalyptus is native, have long, curved beaks which enable them to eat nectar from the flower without gumming up their beaks or nostrils. He found a dead ruby-crowned kinglet. 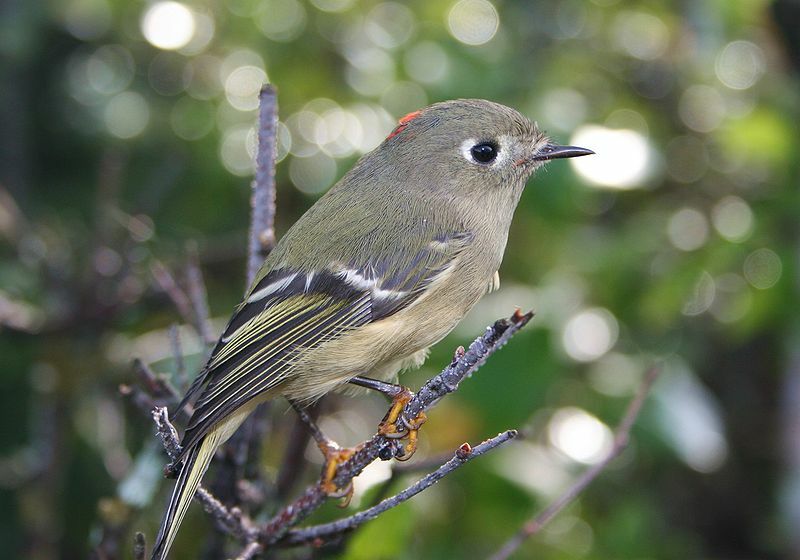 The kinglet is an insect-eating bird, not a nectar eating bird. Years before that sighting, he found a dead hummingbird. Hummingbirds eat nectar, but they have long beaks. The nectar of eucalyptus flowers is not “gummy.” It feels watery to the touch. 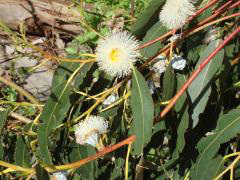 Eucalypts are not called “gum” trees because of the nectar in their flowers. They are named for the sap under their bark. (1) There is no reference to Eucalyptus or any of its byproducts. (2) There is one reference to a bill or mouth being restrained…by a synthetic adhesive. (3) There is one vague reference to an Anna’s Hummingbird that was “Stuck in Resin”…treated and released one day later. There is no empirical evidence to support the claim that eucalyptus trees kill birds, but the most compelling evidence that this claim is not factually correct is that it contradicts the basic facts of bird physiology and anatomy. That is, birds can and do clear their beaks and nostrils with their feet or by rubbing their beaks on branches when necessary. If their nostrils are obstructed, they can breathe through their mouth and vice versa. Ask yourself this question to appreciate the absurdity of the claim that birds would passively suffocate rather than using the tools they have at hand: If you were suffocating because there was something stuck in your mouth or nose, wouldn’t you raise your hands to your face and clear the offending obstacle? Is there any reason to assume that birds are not physically or mentally capable of the same defensive behavior? If you have a cold and your nose is stuffed up, don’t you breathe through your mouth? The Cornell ornithologist would need to see evidence before he believed the claim that eucalyptus trees kill birds. Native plant advocates apparently don’t need any evidence. They have been repeating this absurd, baseless claim since 1996, when it was originally fabricated. One subscriber to the SFBIRD email listserve mentions this claim often, although he never offers any new actual dead birds to add to the two that were used to fabricate the story. So, why do we try, once again, to set the record straight despite the stone wall built around this fable by native plant advocates? Because we find this claim in the “assessment form” used by the California Invasive Plant Council to justify its classification of eucalyptus as “invasive:” “purported to cause mortality in native bird species.” The California Invasive Plant Council classifies eucalyptus as “invasive” based partly on the existence of two dead birds. This story has been repeated by native plant advocates for nearly 20 years without any supporting evidence. It has taken on a life of its own until those who repeat it apparently are unaware that there is no evidence to support the myth. The US Forest Service social scientist, Dr. Paul Gobster, interviewed native plant advocates while a visiting professor at UC Berkeley about ten years ago. At the end of his visit, he delivered a lecture at the Randall Museum about his observations of the local native plant movement. He said they were victims of “incestuous amplification,” the trading of misinformation in a vacuum caused by their isolation. The ridiculous story about eucalyptus trees killing birds is surely an example of incestuous amplification. Our local eucalyptus forest is chock full of birds of all sorts. They love it and they thrive there. In this mountain area, the hawks and owls help a lot with keeping rodents in check. And the songbirds are such a delight. This is a terrific article. I loved reading the new evidence that birds enjoy living in and on eucalyptus trees. I wish you would send this article to one of the wildlife magazines. Very interesting article. I agree send it on to the magazines. We sent a letter to the editor of the Audubon Society magazine because Ted Williams repeated this story in one of his appropriately named “Incite” columns. He significantly increased the number of dead birds without providing any new source of this information. Our letter to the editor asked for the source of those numbers. We did not receive a reply and our letter was not published. We were members of the Audubon Society for decades and we spent a decade trying to change their policy regarding non-native species. Finally, we got tired of reading articles like Ted Williams’ “Incite” column and we quit. That was hard to do because we love birds and most of our traveling is devoted to seeing them all over the world. What magazine do you think would be interested in this issue? Maybe try going bigger. Do you think Nat Geo could be interested? They seem more fair on their bird stories. National Geographic seems deeply committed to a negative view of non-native species. I never noticed that about them. I do know they have many causes, but I always felt they had good reporting. I will have to pay closer attention to this. I am currently doing research (unpaid) on monarch butterflies and their winter nectar sources and am doing my best to be neutral but the more I read and observe regarding eucalyptus the less I think they should be part of the California landscape. I have read Ted Williams’ article about eucalyptus. The title of Mr. Williams’ column in the Audubon Magazine is “Incite.” It is appropriately named. It is an advocacy column that is long on opinion and short on information. It incites controversy rather than provides insight into complex issues. Mr. William’s article about eucalyptus fabricates “data.” Without providing any evidence, he conflates two dead birds found by Rich Stallcup into hundreds of dead birds. As the ornithologist at Cornell said, there is no scientific evidence of substantial numbers of dead birds in the eucalyptus forest. People who bird in California without nativist prejudice can tell you that there are not hundreds of dead birds in our eucalyptus forest. And there are sources of bird observations such as E-Bird and local list-serves that inform you that there are many birds in the eucalyptus forest. If you have a scientific study which indicates that eucalyptus is harmful to monarchs, please provide it. I have read several studies about monarchs in California which do not report such harm. Ms. Mitchell demonstrates how a fiction can live on, in the absence of any evidence. Williams is not a scientist of any kind; he provides no data; he provides no information at all, except to repeat Stallcup’s story. Be clear: Stallcup, amplified by Williams, is the sole source of this myth. The story has been circulating for more than ten years, but no one has presented any evidence to support it. Ms. Mitchell may believe that she has heard the story from many people, and that it is therefore likely true. But no matter who she heard it from, it all traces back to Stallcup and Williams. This is what is called “incestuous amplification.” People who share an ideology pass a story around and around until it becomes “common knowledge,” appearing to come from many sources. No, it’s just one unsupported story amplified to full myth status.